Sprinting at the speed of entrepreneur. Our approach to any project or client always starts with the [ WHY ]. We do what it takes to be sure we understand not only your ultimate goal and the context surrounding the specific project at hand, but also the nuts and bolts of your business and competitive landscape. Because we think and act like members of your management team, we can help you identify the risks and opportunities that really matter, and work with you to create a game plan for addressing them—all while keeping you in control. We track deliverables, thrilled clients, and a thriving team. Leveraging hard-won experience inside high-growth companies, we built our proprietary system—[A]OS— with you front and center. Knowing that in the game of growth, priorities shift, issues pop up, and opportunities arise out of thin air, [A]OS allows us to stay on top of these changes and flex your ADVance Work Plan to be sure our work matches your highest priorities. Add to that our team’s expertise and focus on results, and you might say we were built for excellence, speed and agility. In fact, we were born agile—from the start, our foundation was built on the agile methodology, using our [A]OS platform to efficiently deliver our work and keep your deals on schedule, no matter how complex. We define success a little differently. Thrilled Clients: Like the world’s top companies, we use the Net Promoter score to benchmark ourselves by how likely our clients are to recommend ADVOS to a friend or colleague. For the record, while the legal industry’s average NPS® score is around 19, the ADVOS NPS® is consistently in the high-90s. 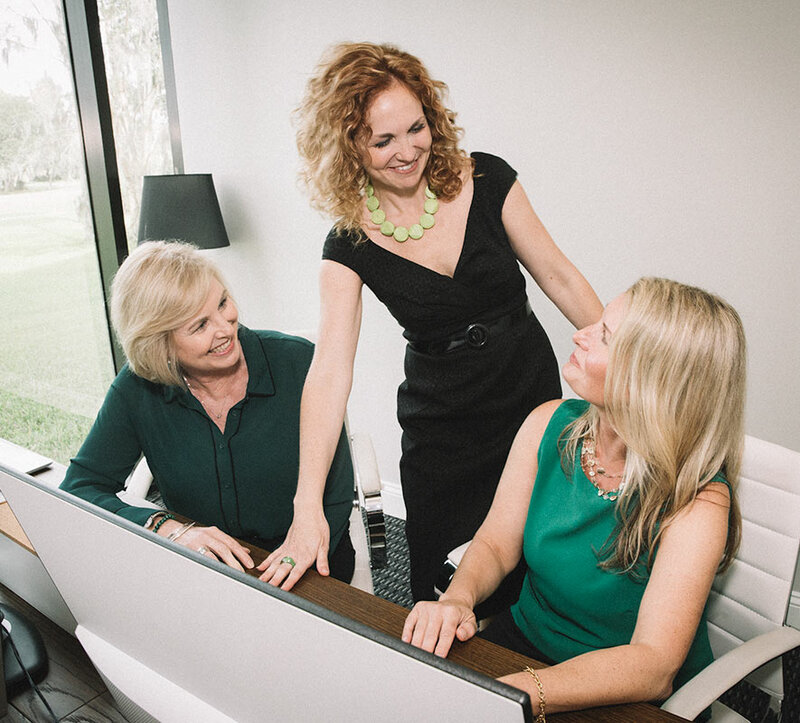 Strong Community: We’re committed to developing a powerful community for high-growth companies through our strong relationships with our clients, dealmakers and business advisors, and organizations like Florida Venture Forum, Association for Corporate Growth, and CFO Leadership Council. Thriving Team: Our clients are thrilled with us, as a direct result of our thriving team. We have built an environment where people want to bring their [A] Game, and where they are recognized for their excellence. Rich Rewards: Our clients are thrilled with their legal team, our professionals love their work, and both are richly rewarded by their work together. Around here, we call it a #promance. Seriously—it’s possible. Let us prove it to you. 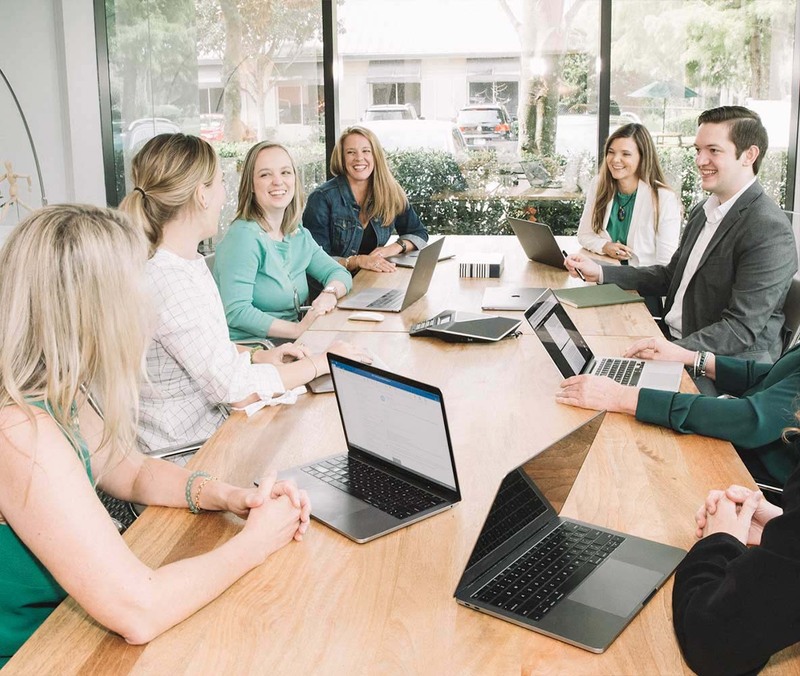 Founded by entrepreneurs [aka business geeks], Gwen Griggs and Whitney Harper, ADVOS started with the premise that the same principles driving successful, scalable, high-growth companies could be used to deliver outsized results in the legal arena – for both clients and lawyers. ADVOS leverages technology, measures results, and gives the client control and transparency over the spend. Agile methodology combined with a custom-built software platform measures efficiency and excellence in each project, so the focus remains on results, rather than hours. The name ADVOS came from a blend of Advocacy and Strategy. Even better, the Latin phrase “ad vos” means “unto you” a nod to the Golden Rule and how we think the attorney-client relationship should work. Our clients love their legal team, and our professionals love their work. Working with ADVOS delivers high ROI for our clients and our team. It’s in our values.